Beccariophoenix alfredii is very simular looking to the true species Beccariophoenix madagascariensis yet it grows at almost three times the speed, truly they are near impossible to tell appart..! both species seem to be quite cold tolerant, this species needs little attention once established and seems to be quite drought tolerant, it can be grown in the full sun or shade, once larger all of these three species all look very simular to each other and they do all look very simular to the coconut palms "Cocos nucifera". So if you are after that tropical look in a colder climate this is a perfect species to use!! 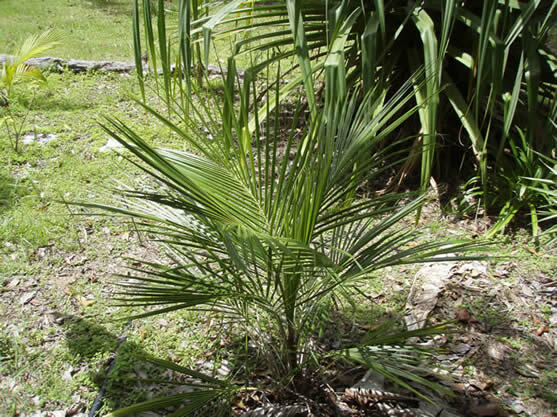 A stunning palm for any garden likes a well-mulched garden bed and should be planted in a prominent area to appreciate the true beauty of this palm. We have all 3 species available in the nursery.